This listing is for a sample ONLY. Your sample will come with a template of info, but not with your actual details. 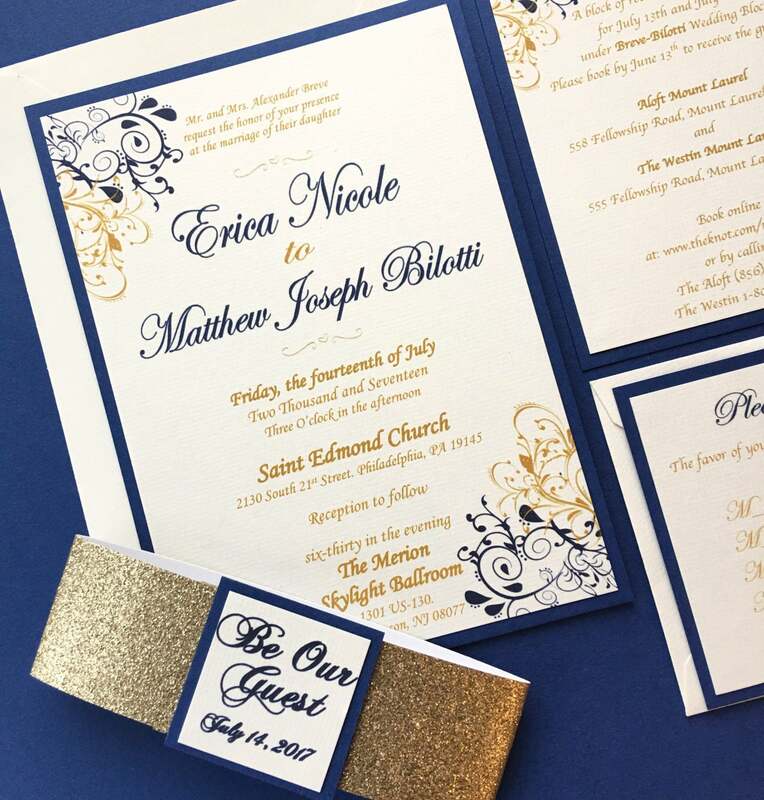 The sample is so you can see the quality of your invitation in person. 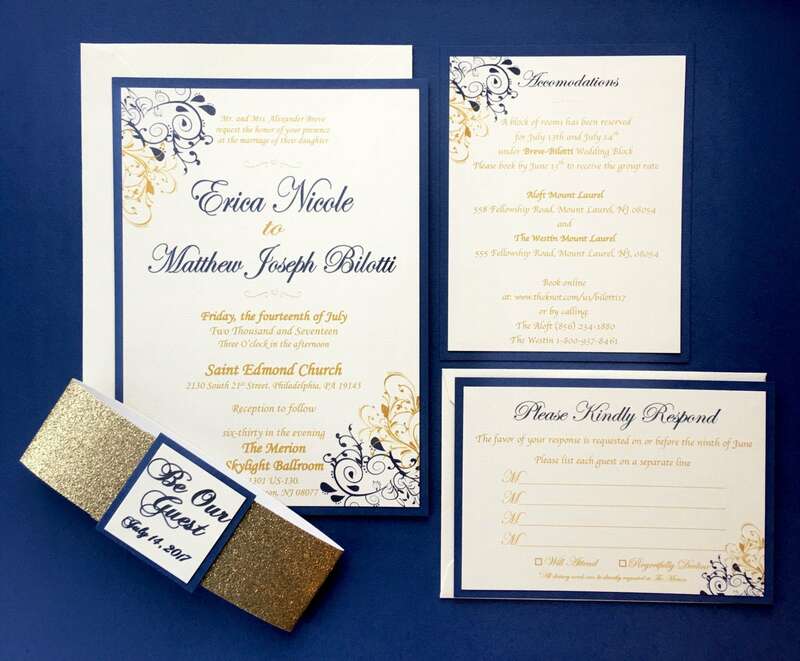 Beauty and the Beast wedding invitation suite! 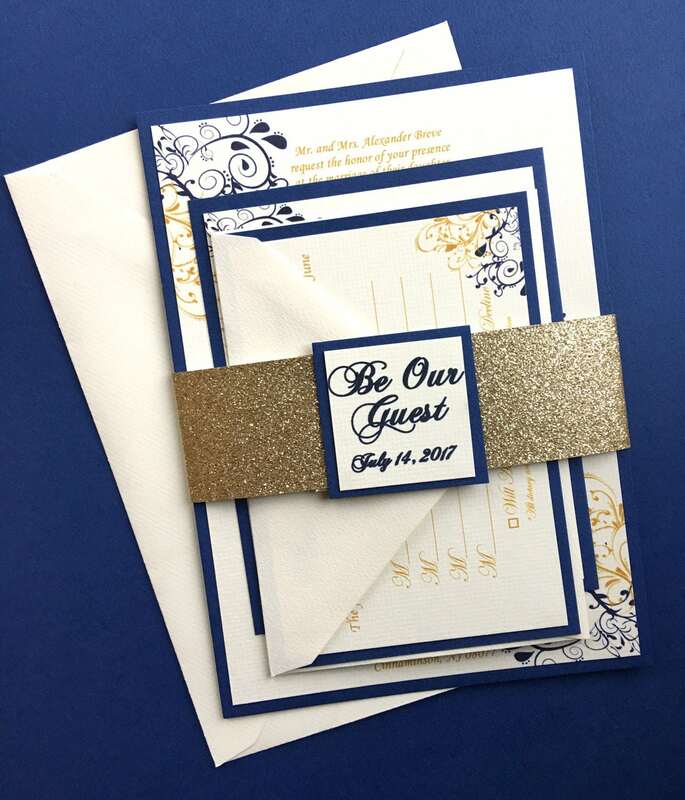 -Be our guest tag and wedding date. 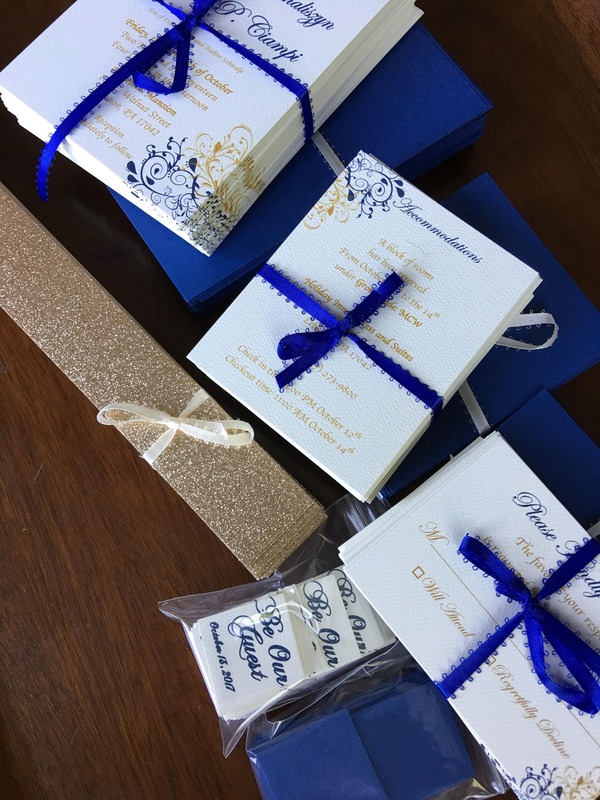 All parts are HD printed on creamery card stock and backed with sapphire blue card stock. 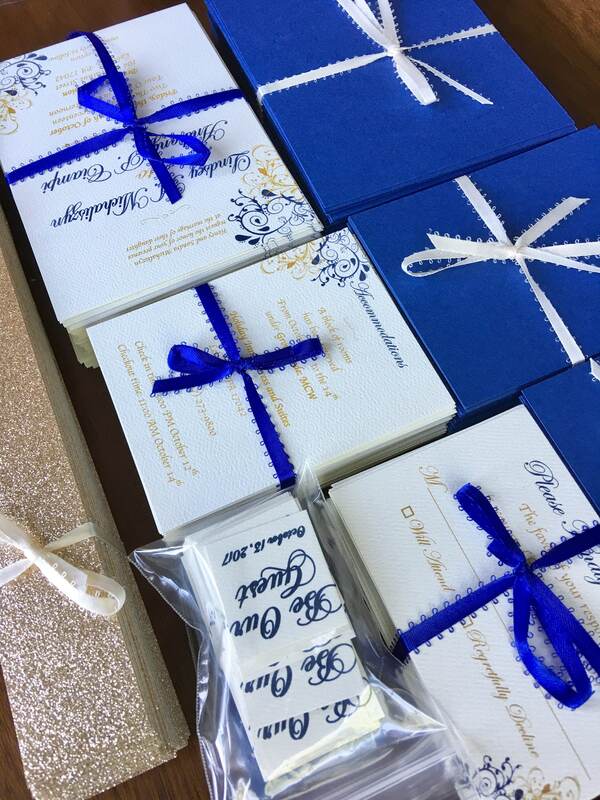 These invitations will come unassembled. Each part will be carefully wrapped and packaged for easy open and assembly. 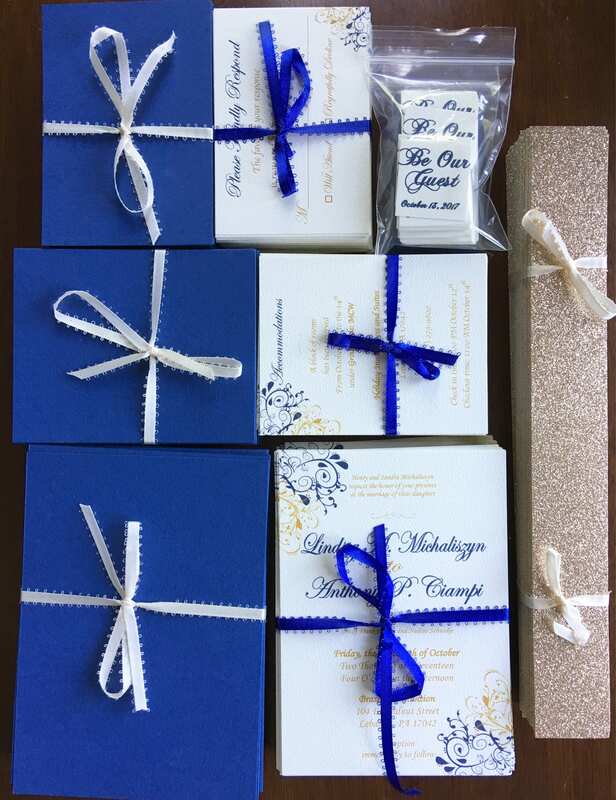 Unassembled simply means that you will receive all parts of the invitation and you will have to assemble them on your own. To assemble, you will have to attach all cards to backing (glue dots work best for this and can be found at any local craft store). I will send you the final layout prior to completion and you may add/edit the information. I am super easy to work with!!! Message me with questions. If you want a non customized sample, message me for details. The sample invitation I received was above my expectations. The quality is amazing. It is well crafted and designed. I already ordered the digital proof to have Alyssa design my wedding invitations. She is amazing to work with, answers any questions I may have in a timely manner and is willing to customize the invitation to fit my needs. 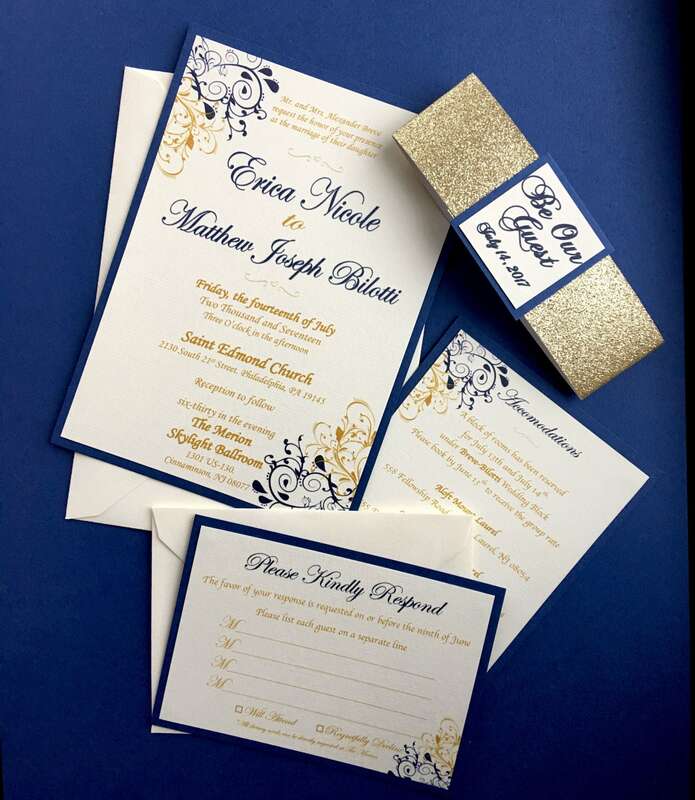 I cannot wait to see the wedding invitation she designed with my information!